ANOHNI's output under Antony and the Johnsons was staggering in its complexity and vision, the sound a kaleidoscope of stained glass, cracked but never shattered. HOPELESSNESS is her first album under her new name, and with that comes a new clarity and purpose to her songwriting, an ownership and authority over her artistic voice that we've not yet seen before. 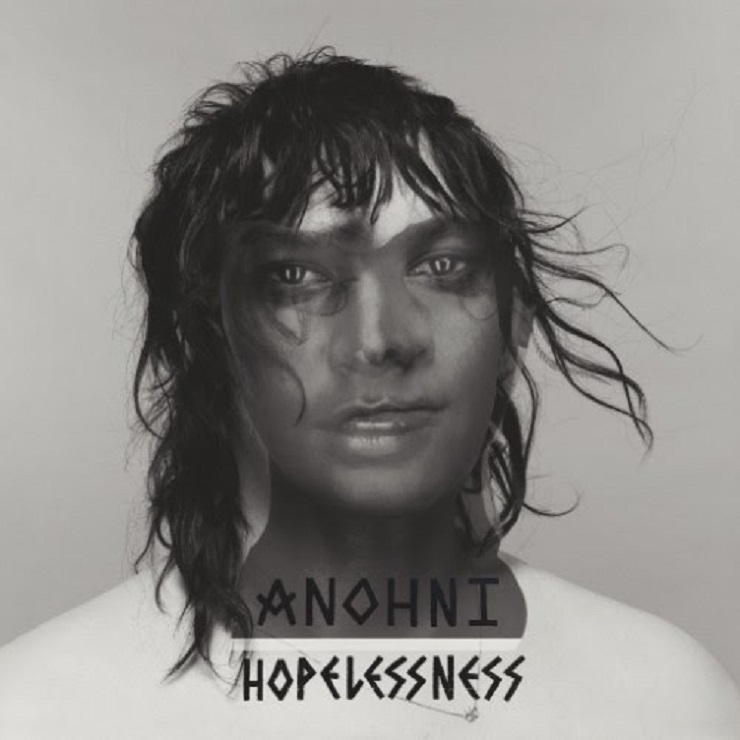 Working with Oneohtrix Point Never and Hudson Mohawke, ANOHNI has crafted a shimmering, shadowy electronic pop protest record that thunders and sparks, avenges and retreats, attacks and empowers. With "Drone Bomb Me," ANOHNI establishes HOPELESSNESS's ambitions and its heart. "Love, drone bomb me," she sings, her voice a warm purr emerging from pretty digital clouds, humming around the tinny, fractured plunking of her piano. "Blow my head off, explode my crystal guts." Throughout the record, her approach alternates from raw and poetic ("Violent Men," "Crisis") to angry ("Obama," "Watch Me") to almost satirical. On "4 Degrees," she uses an almost teasingly coy, delicately percussive touch to lay bare the realities of global warming and environmental destruction, singing "I want to burn the sky, I want to burn the breeze / I want to see the animals die in the trees." "Execution" is a summery-sounding dance jam about the horrors of the death penalty: "It's an American dream!" ANOHNI declares with fabricated glee.